Not for a windy day. 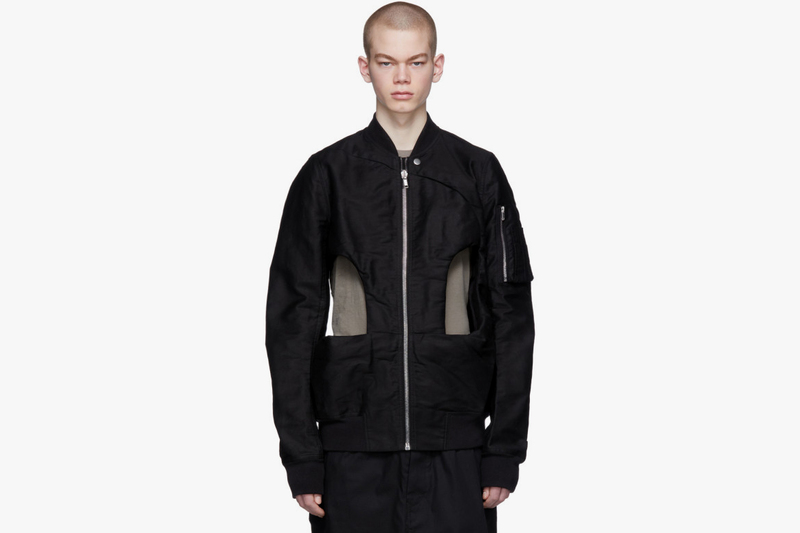 Rick Owens DRKSHDW has just released a new take on the flight bomber jacket. Coming in the label’s signature shade of black, the Black Shed Flight Bomber Jacket features the customary pen zip pocket on that arm, but is heightened via its rib knit cuffs, stand collar and hem. The most immediate detail can be found at the middle of the jacket, where large pieces of material have been cut out from the front and back, allowing you to see what is being worn on the inside. While the jacket is less functional than the original jacket it is derived from, it does have luxe details like a fully-lined interior and silver hardware. Those interested can find the Black Shed Flight Bomber Jacket over at SSENSE for $1385 USD. Another major achievement for Lil Chano. How does this drop compare to previous “Chicago,” “Bred” and “Black Toe” releases? Following a $100 million USD lawsuit from the Michael Jackson Estate. Ahead of the Supreme collaboration.